Maruti Baleno Sporty Bumper Skirt kit is one of the trending items in auto sector.New Baleno 100% Genuine ABS Quality gives dynamic design to your vehicle.the surface finish and quality makes the look elegant. * Enhances looks of your car. * A brand-new, unused and undamaged item. * Product comes with finished paint only you need to fix it at their place. 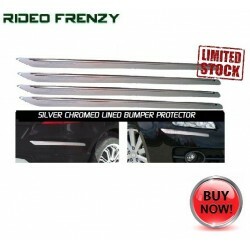 The product comes with RideoFrenzy Guarantee. If the product has any fitment issues / defects; we will replace the same.